I’ve always personally adoredthe lo-fi 60s girl-group stuff that the Vivian Girls presented in their first full-length release. But when many people claim that the trio was merely a one trick pony, I didn’t bother to defend them-- because I knew it was true. 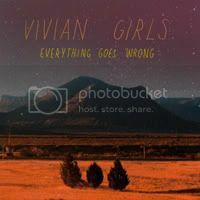 Their sophomore effort, Everything Goes Wrong, aren’t here to prove the protester’s opinions have gone amiss. In fact, this latest record feels like a 13 song extension to their previous album. They offer nothing ground-breaking nor genre-defining-- just straight up lo-fi indie pop with dashes of punk rock influences. And the worst part is, I can’t seem to find fault with it. Having liking lo-fi music for quite awhile now, I’ve learnt not to build up expectations. Most bands in the lo-fi cluster, remain in obscurity albeit with a healthy and steady following. 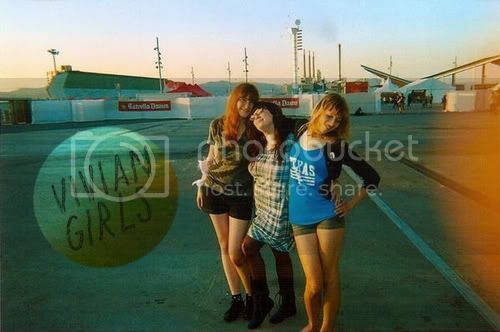 Vivian Girls may be a band that will continue making the same formulaic songs, and for as long as they do, some of us will continue listening to it.